Lately, I have been more obsessed with Pinterest. To the extreme. I am lover of interior and I am constantly seeking inspiration. Now that I have my own place, I am always looking for ways to make it look more appealing etc. I like a clean finish, but I love texture, simple colours and just walking into a room and it being well lit makes me happy. So below I have picked a few images from my Pinterest board which you can follow here! 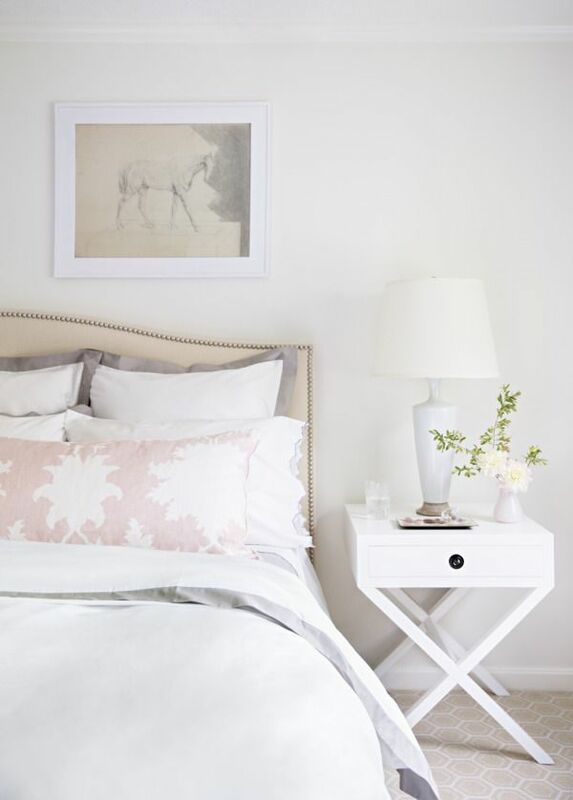 Look at this beautiful room, clean and crisp with pattern and simply furniture. Like the fold up table, its so unique and the colours each other so well. 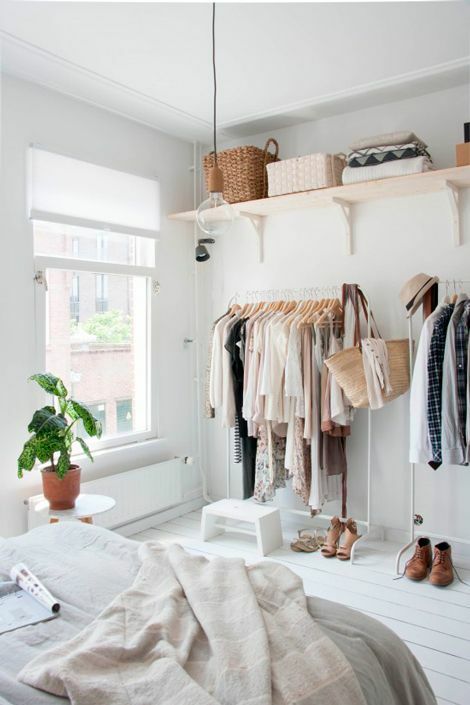 I'd love to have an exposed wardrobe, but I believe if you have this, there has to be a consistent flow of colour, not colour screaming at you everywhere - that's my opinion, The image above shows calm and muted tones of clothing, that correspond well with the simple surroundings. I want and need one of these bath tubs! I will eventually get one, when I own my own place or rent a different place that has one of these beautiful pieces. 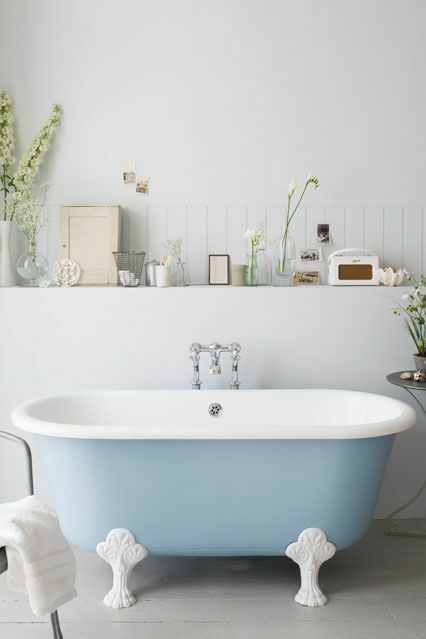 This is a great way of adding some colour to a plain room, especially the bathroom. This just looks so inviting especially with all the flowers. It is like bathing in a garden - haha! And finally, a good kitchen. I love a country looking kitchen. Especially those sinks. 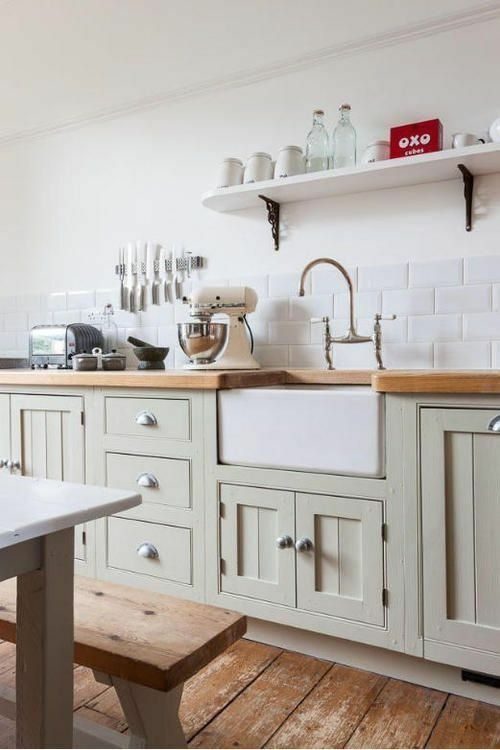 And the wooden worktops and the muted tones just add an inviting and relaxed tone about it. I love tiles that are also laid out in a brick style. They definitely add the impression of more width to the kitchen! Please note the images above are all from Pinterest. 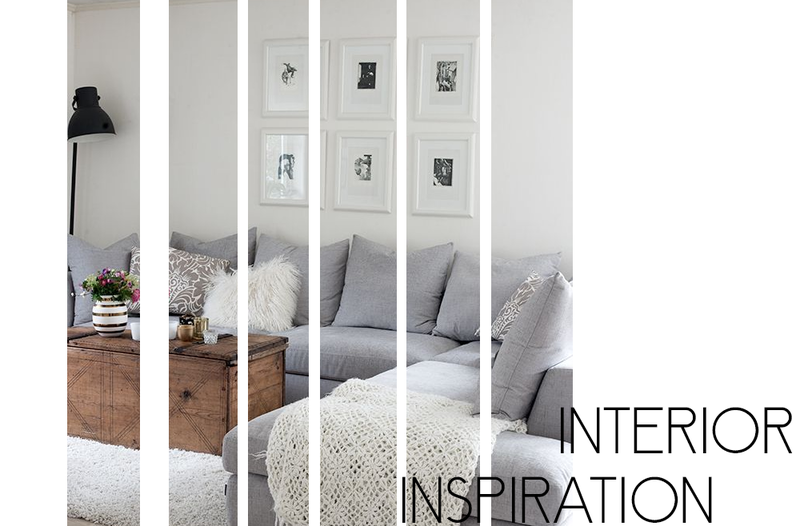 What interior design are you loving? Love these images, such gorgeous rooms. Especially like the white floor boards in the bedroom, really modern and fresh looking! I'm totally with you! I love the clean simple industrial look. It's simply beautiful!